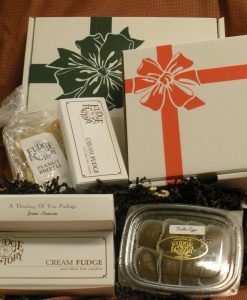 "Families are like fudge, mostly sweet, with a few nuts!" View cart “Gift Boxes” has been added to your cart. Please note: Our last day open for the season is December 22nd, we will re-open February 1st. © 2011 R. Spencer Pratt's Fudge Factory. All Rights Reserved.